It is a simple backpack to improve the experience of VR Gaming. You carry the gaming laptop in the backpack where it is cooled down. It is working quite fast but it is also loud when working. For future widening there are only a few options. The price is actually around 2 200 € but this does not include the VR glasses. Due to a high interest caused by the Computex 2018 the website is most times not reachable. For further informations I also recommend to use the Amazon Link. It would be appreciated if you could add more information about the product in your comments. 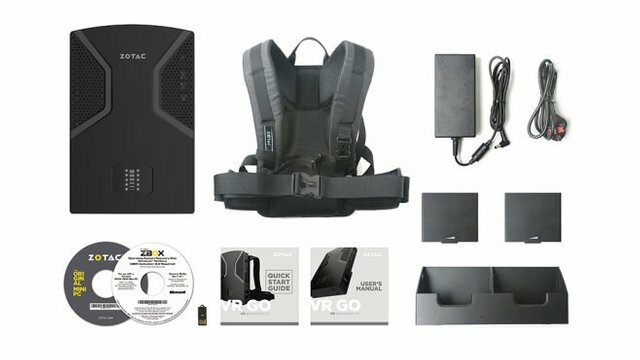 It took me some time to realize that this product is not a shoulder back designed for notebooks, but that the backpacked computer is specifically designed to be used for this backpack and the purpose of this is for VR. Information like playtime, specification of hardware and main features why this product is so special would be also appreciated. Congratulation! Your hunt was ranked in 140th place on 7 Jun 2018 on Steemhunt.